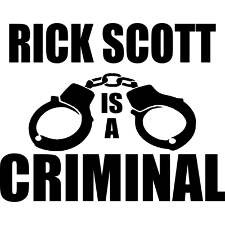 Floridians will lose their alienable right to breathe thanks to Governor Rick Scott. It appears that air is the latest culprit to suffer the governor’s magnificent machete as he swings without aiming to cut-off funding for everything from aid for the disabled, medicare and medicaid, funding for HBCU’s, teacher’s compensation, high-speed rail, and just last week signed into law a controversial election bill restricting early voting. Florida residents will have to prove their daily consumption in order to gain access to air and even then it will only be available at state rest stops along the I-95 corridor. Air will be distributed based upon income, tax bracket, social status, and, well, political party. I see many democratic voters falling faint from lack of air. 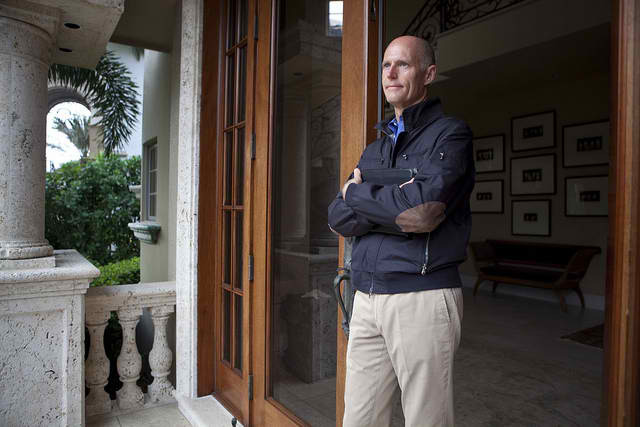 “I see dead people,” said Rick Scott. Floridian’s will have to pay a non-refundable, $20 fee to renew their driver’s license and only then will they have a special air hologram placed on their laminated necessity. All non-drivers will have to take a mandatory drug test, an x-ray to determine lung capacity, and then write a haiku before being awarded an Access Card for air. It’s coming folks. As sure as I sit here gasping for breath, I can feel the “Rick Scott Squeeze” and choke-hold suffocating me as the air around me leaves the room. Operatives from the Scott administration have apparently already been dispatched around the state to implement his triadic cut, slash, and restrict tactics. Of course this sounds ludicrous, and it is also with “jest” that I offer the aforementioned. However, the following links illustrate the severity of the governor’s quick-cut political management that is destined to dethrone Florida as both the sunshine state and the U.S. tourism capital. Pink Slip Rick cuts jobs. Rick Scott’s cuts funds to the disabled. Rick Scott’s budget plans calls for deep cuts. Florida is set to become the stingiest state. Penny – thank you. I am not a hand-wringing, the sky-is-falling kind of person but I am troubled and frightened (a strong word indeed) for our state over the next three and a hallf years. This is not a public servant kind of guy. I am bewildered how he was elected and even more bewildered at all the goons in the state capitol that seem to be telling the emporer how great his new suit looks. While the comparison seems like a broad leap to some – we are all amazed 50 and 60 years later at how people stood by and did nothing in the the early days of pre-war Germany. I don’t think it is a broad leap at all to wonder why he is not challenged by seemingly rational lawmakers from all over the state. I spoke to three of my son’s teachers Friday – top educators teaching for many years with broad bases of experience. They have so many stories to tell but the looks on their faces are unmistakable. They are frightened for what will happen to the good teachers over the next few years. Who will want to stick around and tough it out? And that is just ONE issue. Please keep writing. You have a wide base of readers. Keep sharing. And please tell people who to contact to voice their opinion in case anyone is still listening. and can then articulate their own posture and position. You did the latter exceptionally well. Wonderful article mom. Love the comedy and helpful information. Let’s get rid of this guy!